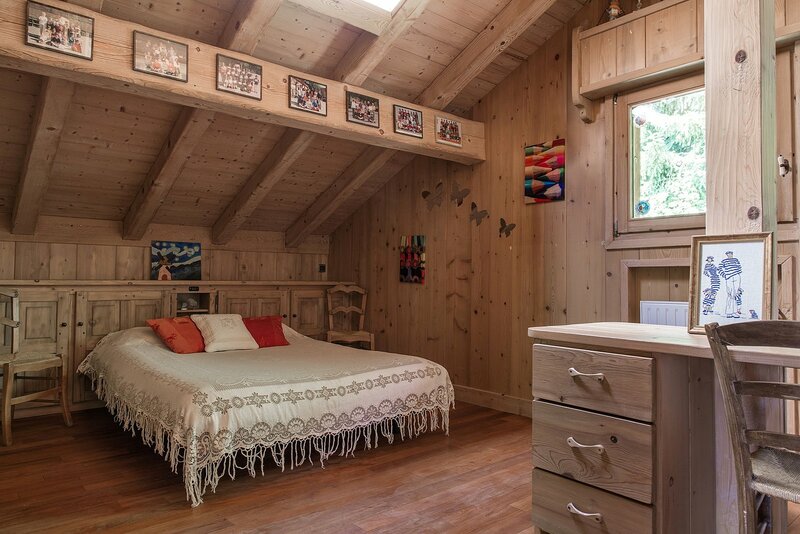 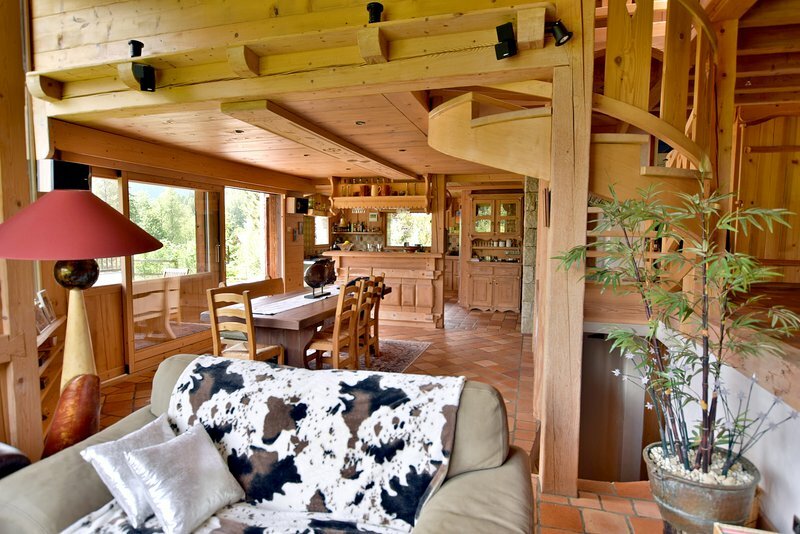 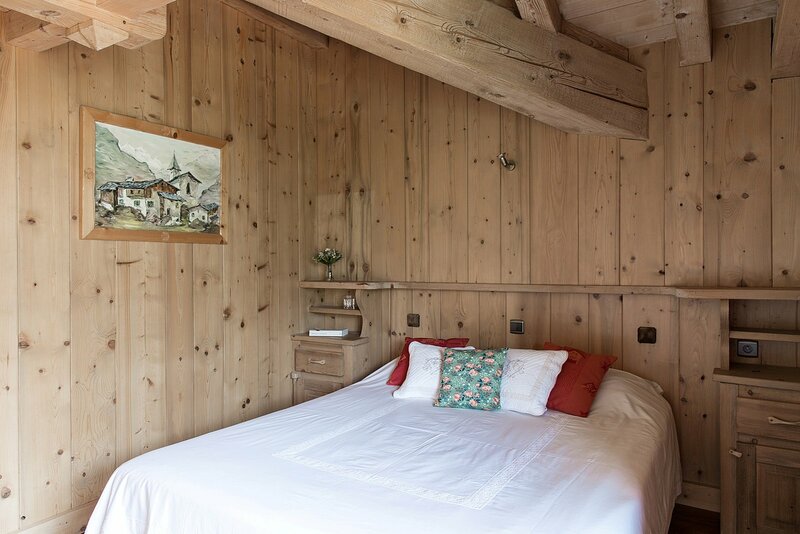 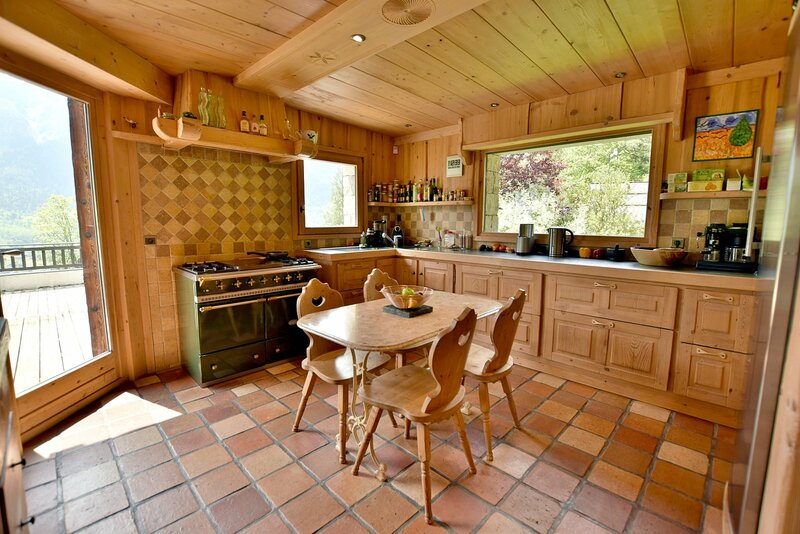 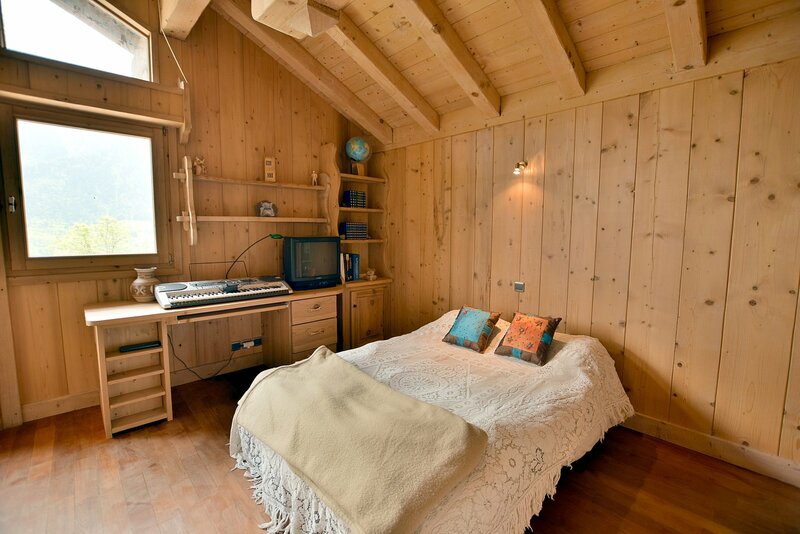 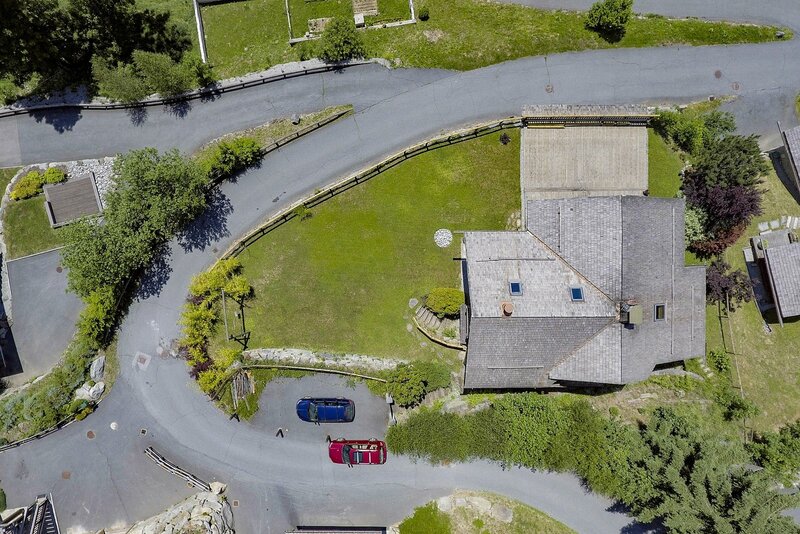 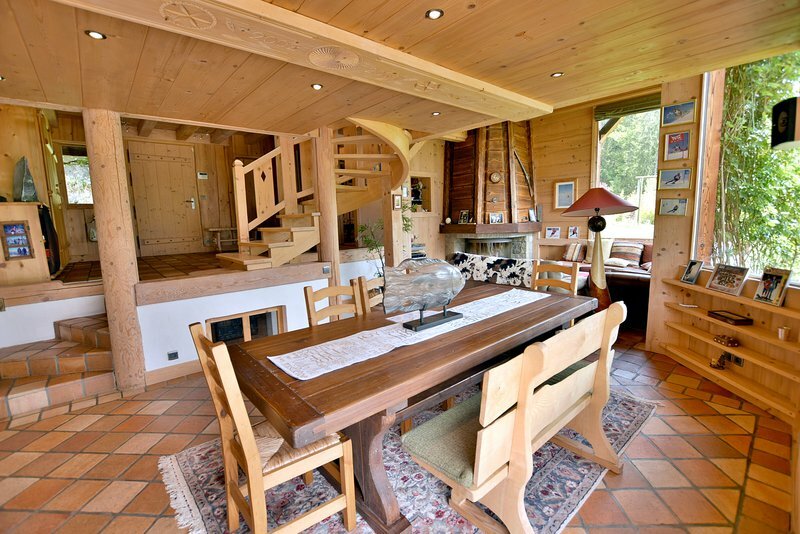 Chalet Rochers is a beautiful, 5 bedroom 375m² chalet, built in 2001 in the sunny area of Le Coupeau. 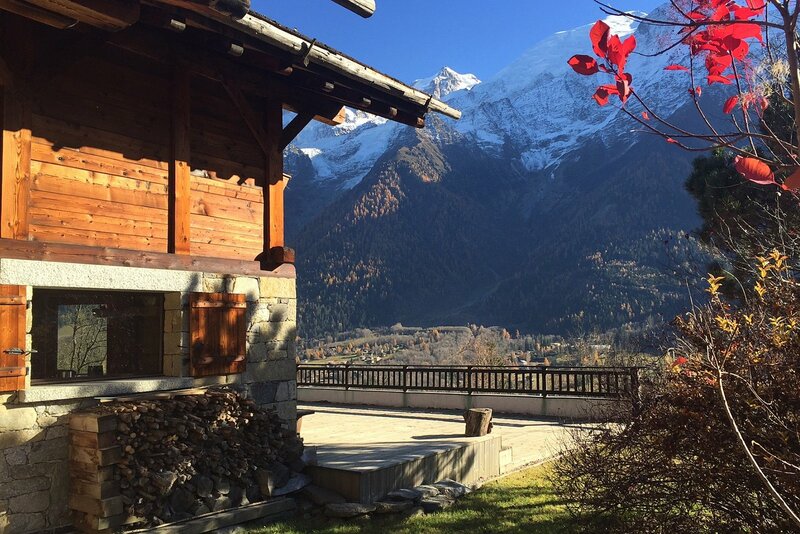 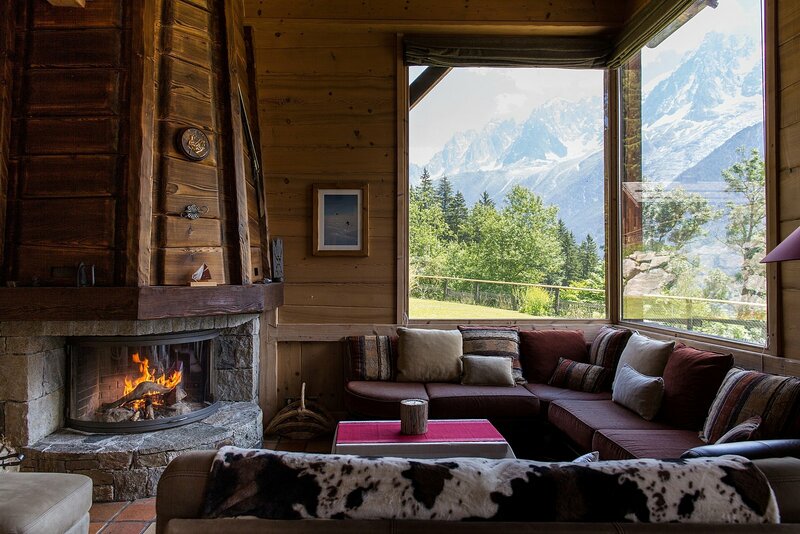 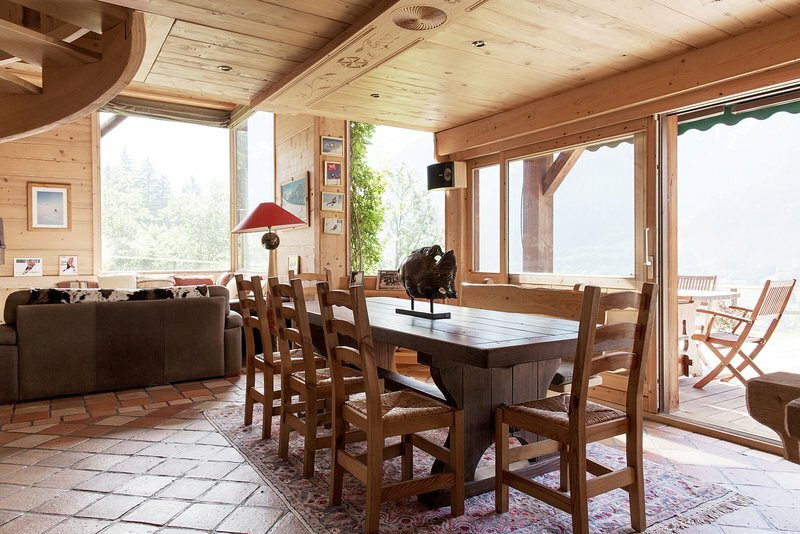 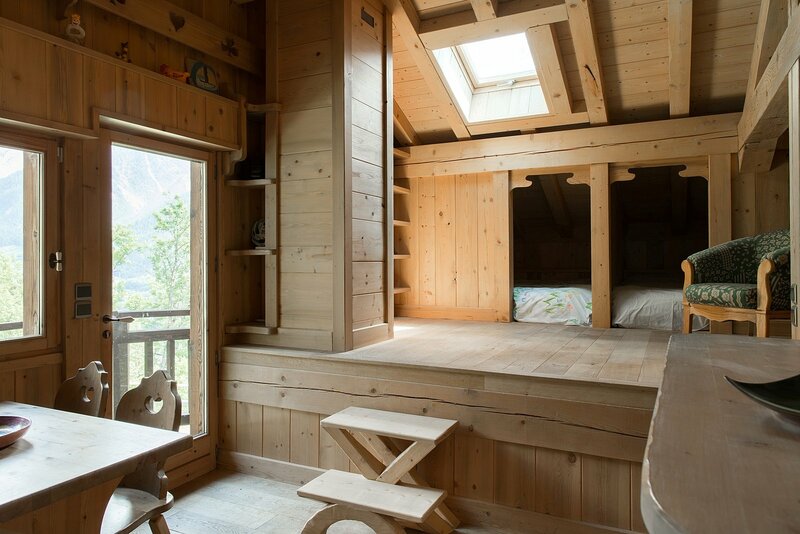 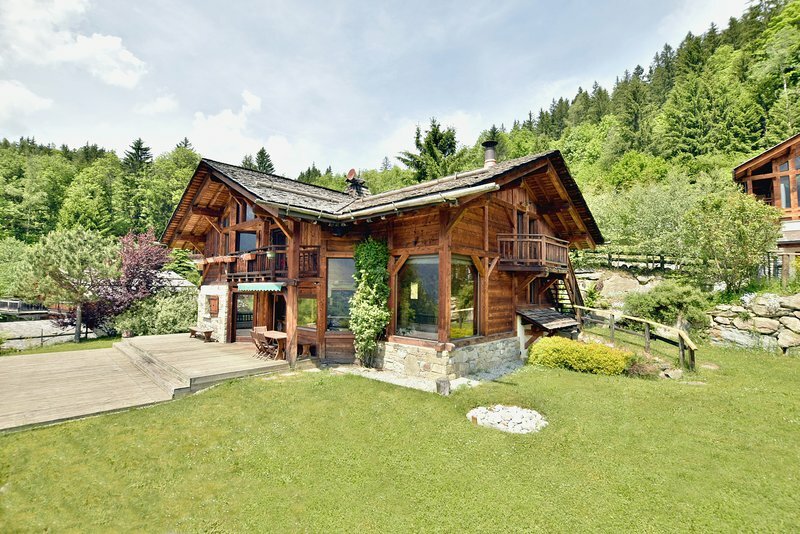 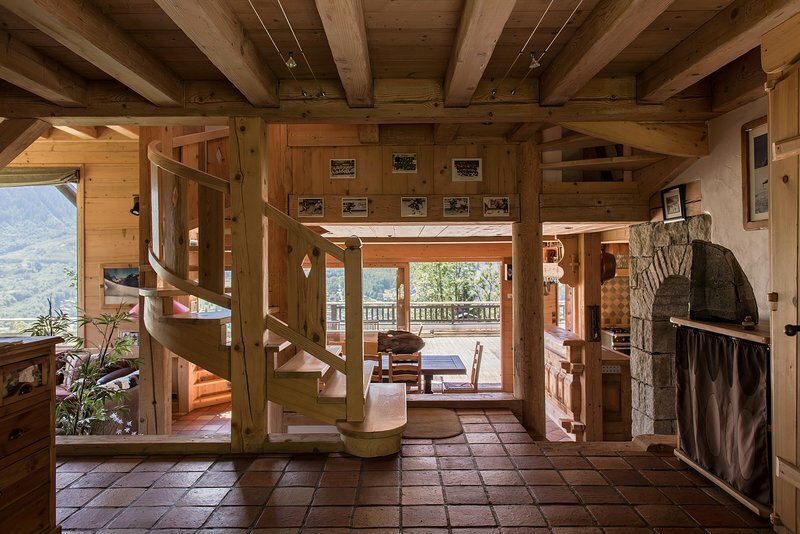 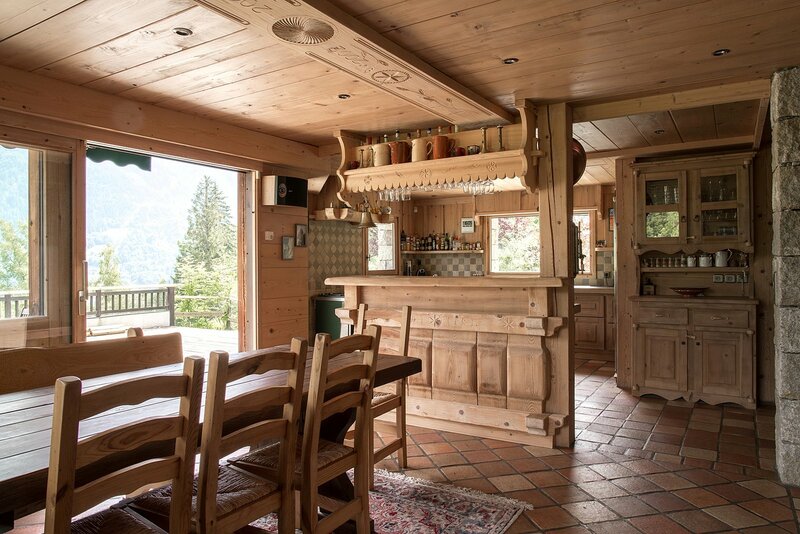 The chalet has been constructed in a traditional style using old timber throughout and sits on a flat plot of 981m² with magnificent views of the Mont-Blanc range. 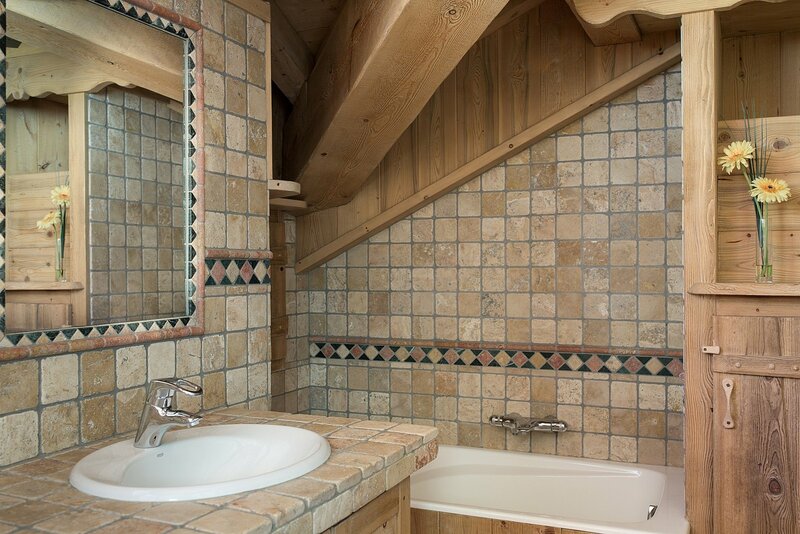 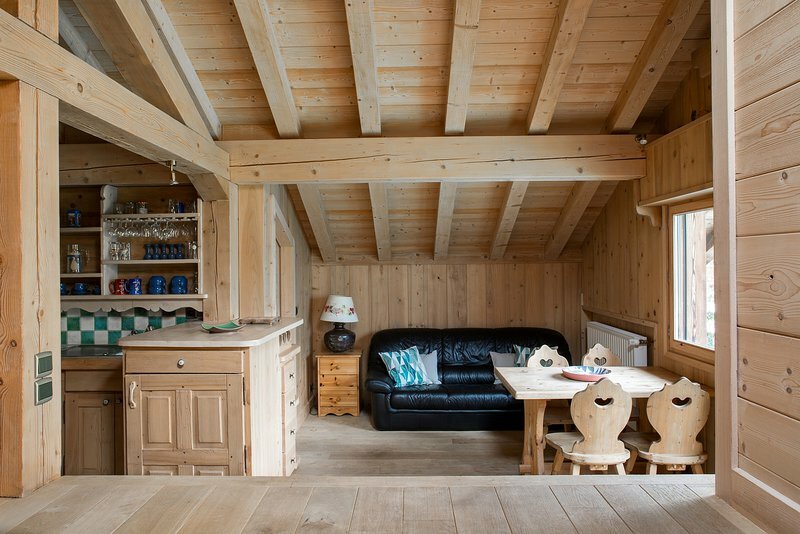 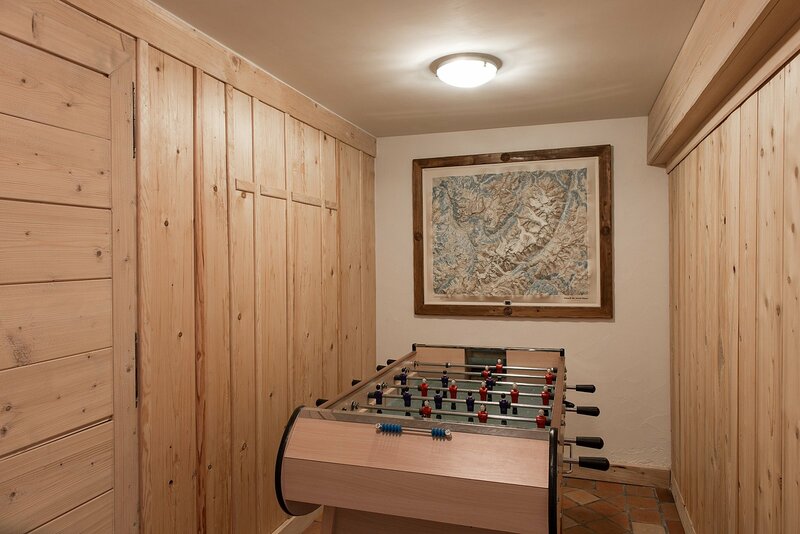 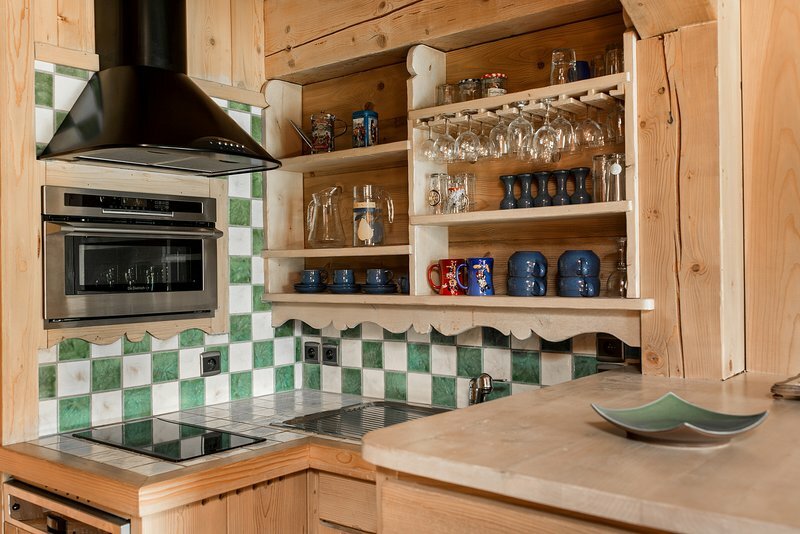 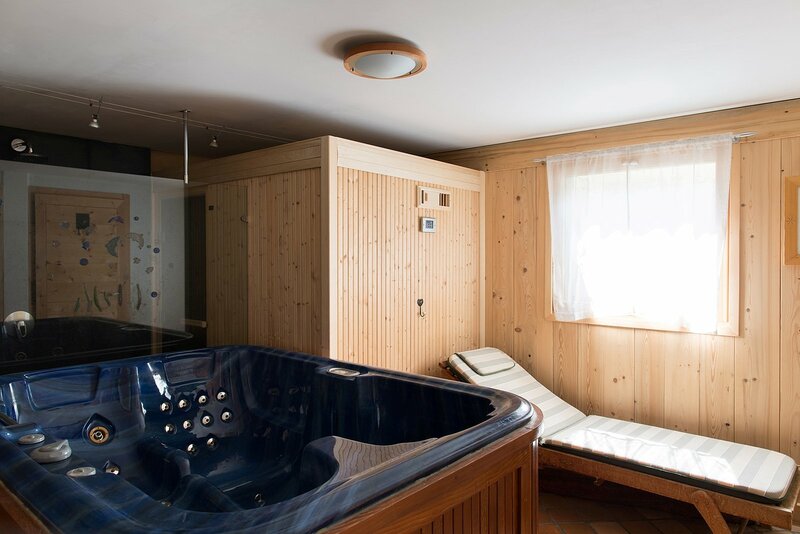 The chalet is on various split-levels which gives it character as well as a traditional 'montagnard' feel. 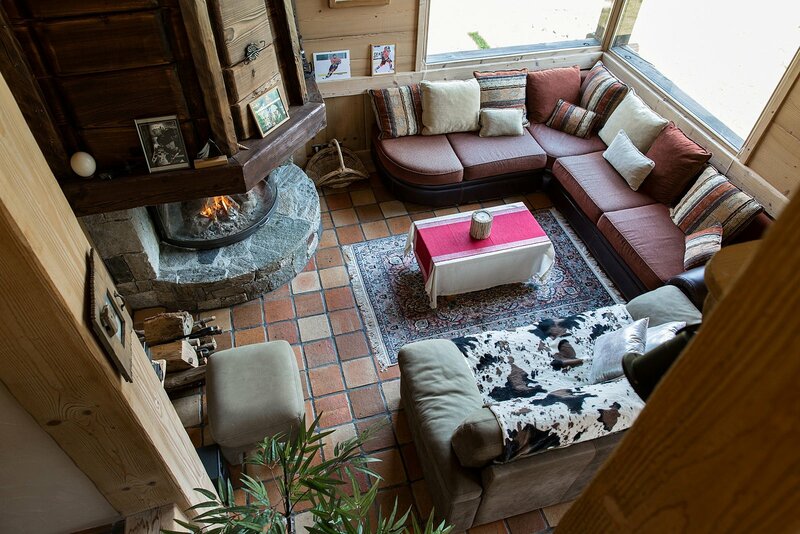 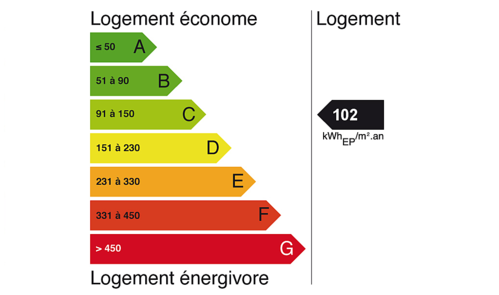 The chalet is in the village of Le Coupeau, 3km from the centre of Les Houches and 10km from the centre of Chamonix. 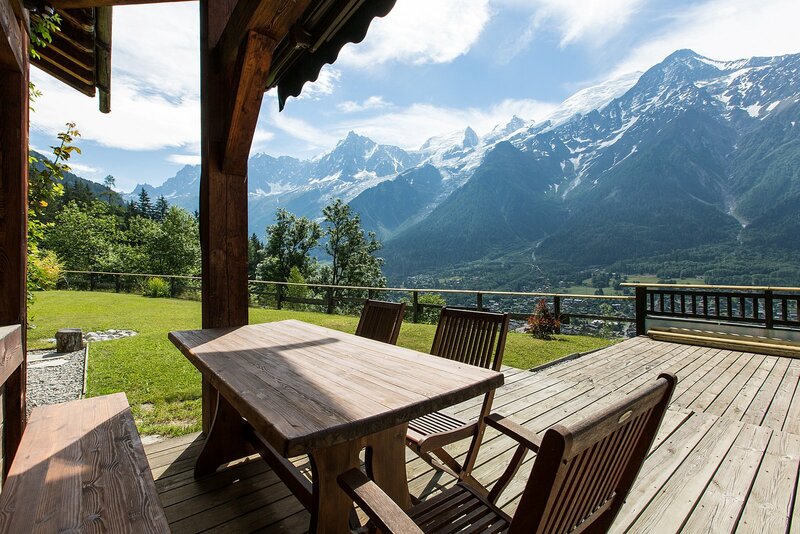 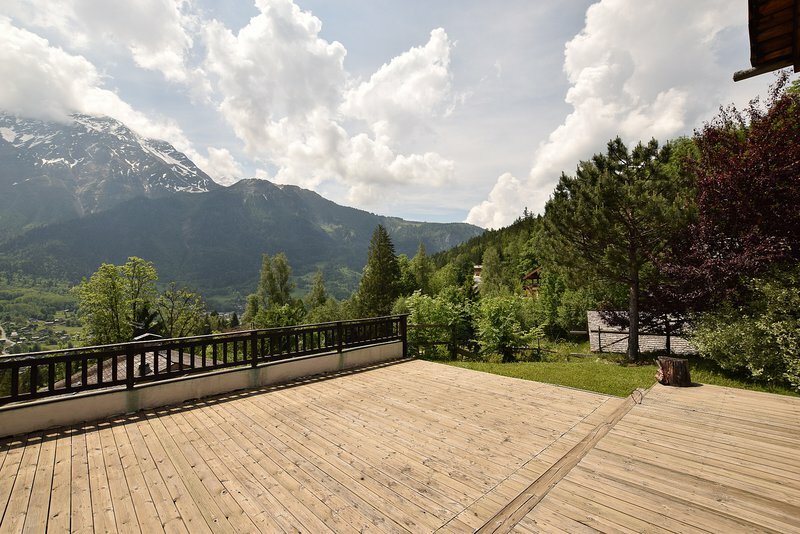 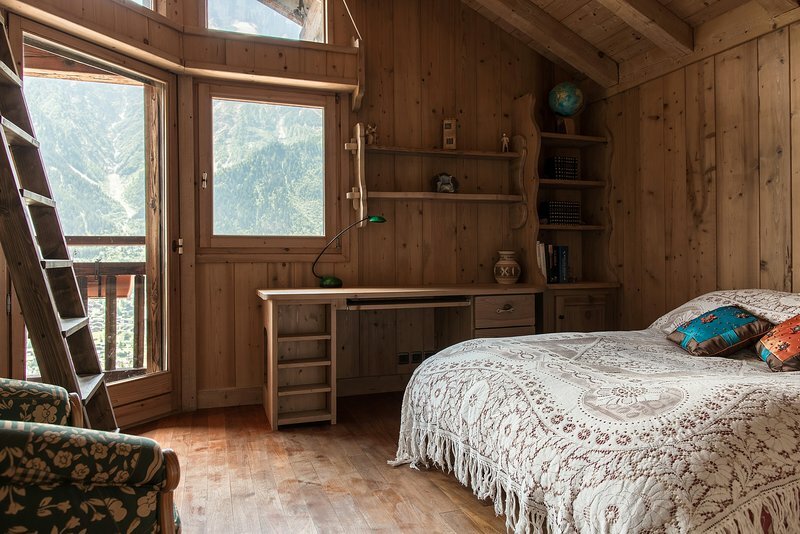 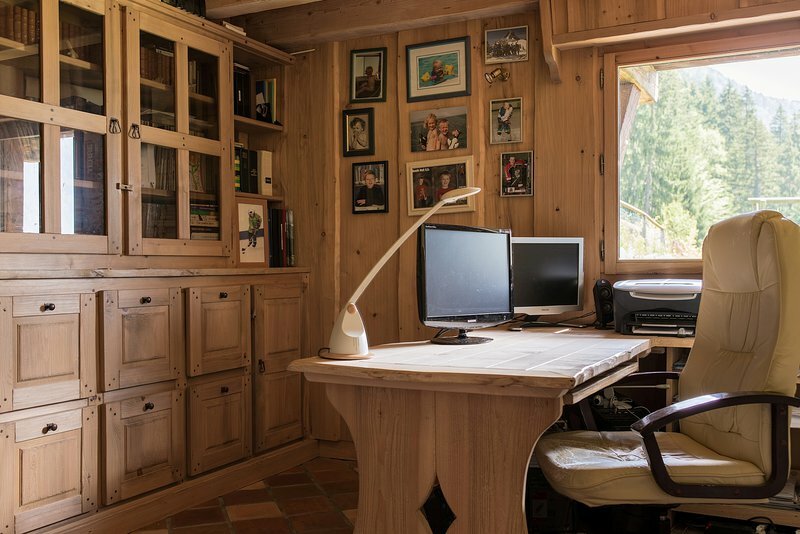 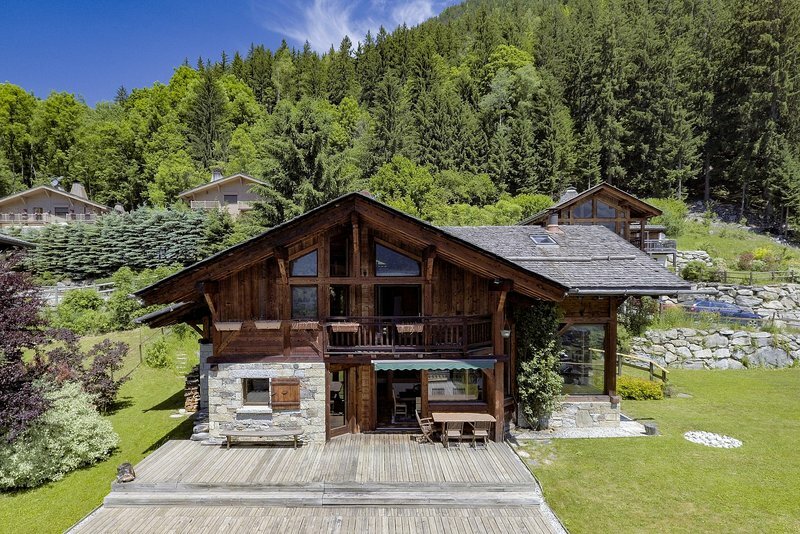 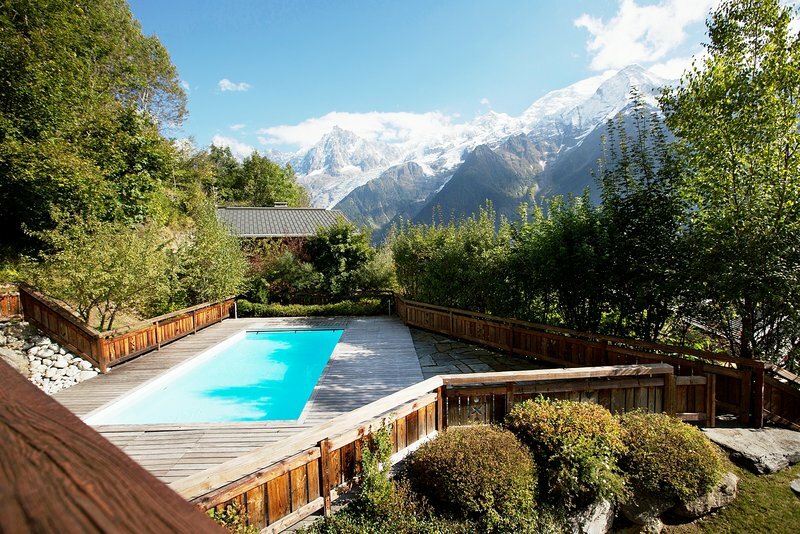 Nestled deep in the forest, it is a beautiful location on the sunny side of the Chamonix Valley and has easy access to walks, mountain biking and the nearby Merlet Animal Park. 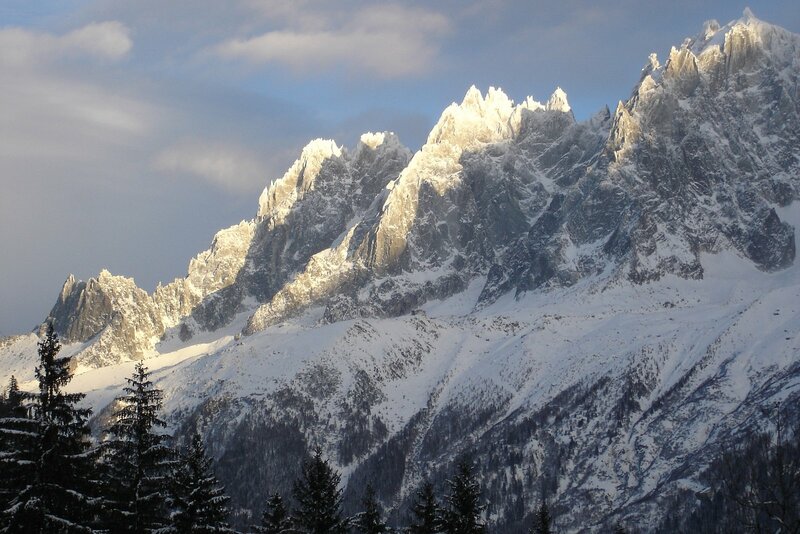 The closest skiing is in Les Houches with the Bellevue cable car only a 5 minute drive away (4km). 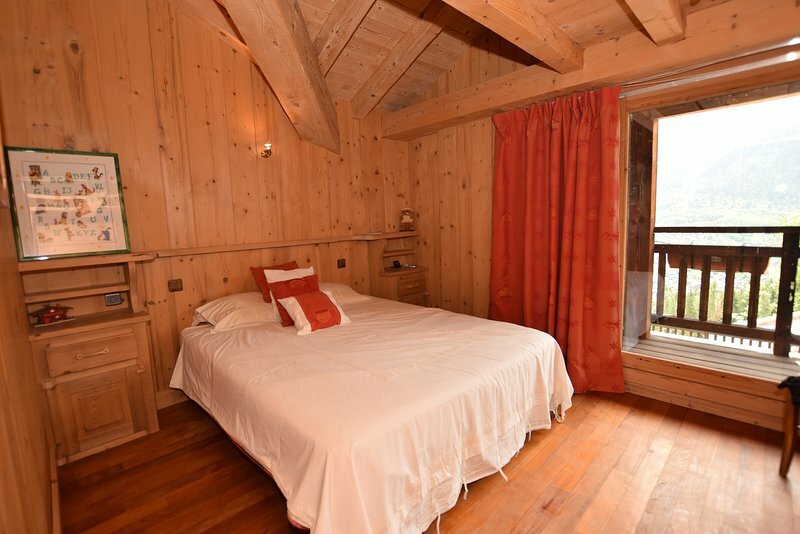 The closest shops, restaurants, bars and supermarkets are in Les Houches, 3 km from the chalet.